According to the police, the suspect has been identified as Sajjad Khan who was the close associate of mastermind Muddasir Khan who planned Pulwama attack. 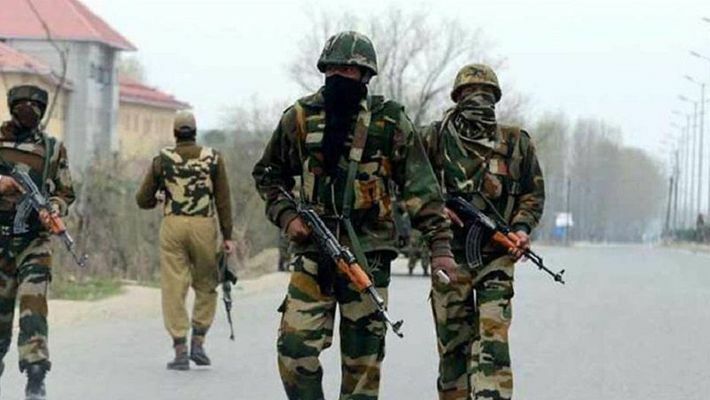 Working on intelligence Bureau tip-off, Delhi police anti-terror wing special cell has arrested a suspect allegedly involved in Pulwama attack, where 40 Central Reserve Police force jawans were martyred in a Fidayeen attack. He will be held at the NIA custody till March 29. "Accused has been specially sent to Delhi to carry out reconnaissance of important targets and to set up a hideout. This has been done to select specific targets and also to radicalize and recruit Muslim youth of UP and other states, provide them weapon training, explosives and field craft, raising funds and collecting weapons. Sajjad Khan was staying under the guise of a Shawl vendor," special cell claimed. According to the special cell, they intensified the efforts to nab suspects involved in Pulwama attack. "An input was received from Central Intelligence agency that an active cadre of JeM has shifted to Delhi with the intention of establishing a sleeper cell and is staying under the cover of a shawl vendor. Vigil was mounted and information was further developed. This input was developed through sources and physical surveillance was mounted in which movements of these operatives were closely and discreetly monitored," Delhi Police special cell DCP Pramod Kushwah said. My Nation on 21st February has reported first that shawl traders in Delhi and other parts of India are under the scanner of Intelligence Bureau (IB). Special cell claims that Sajjad was a stone pelter and was born in Pulwama in the year 1992. He had two brothers and one sister. He got his primary education from Govt. Primary School, Handoora and then took admission in Govt. He left studies in the tenth standard after failing and initially was engaged in stone pelting incidents. In the month of Feb'15, Sajjad's brother Ishfaq was arrested under PSA (Public Safety Act) for stone pelting and remained in Srinagar Jail for about 9 months. In Srinagar Jail, Ishfaq came in contact with JeM terrorist Noor Mohammad Tantry. On August,2003 Noor Mohammad Tantry along with two more cadres of JeM namely Parvez Ahmed Mir and Farooq Ahmad, both resident of District Pulwama, were arrested by special cell from a parking lot in the area of Qutab Road, Sadar Bazar, Delhi, while he was going to deliver a huge consignment of arms/ammunition to the terrorists in Delhi. After the death of Ishfaq, his friend Mudasir Ahmad Khan used to frequently visit his residence in Pulwama and motivated brothers Showkat and Sajjad Ahmad Khan to join the JeM. By the end of June'18, Showkat also joined the JeM. Showkat Ahmad Khan also subsequently died in an exchange of fire with the security forces in Sep 2018 in Chan, Tral, Pulwama along with Usman Haider (Nephew of Maulana Masood Azhar and son of terrorist Ibrahim Azhar - younger brother of terrorist Masood Azhar & mastermind of IC-814 hijacking to Kandahar). After the death of Showkat, Mudassir started visiting the residence of Sajjad more frequently and motivated him, to work as JeM Cadre. Sajjad initially provided information about the movement of convoys & cordon and search operations carried by Army. Mudasir instructed Sajjad to spot young Kashmiri youths for fidayeen attacks. Sajjad then motivated and recruited Bilal. On the day of Pulawama terror attack (Feb 14, 2019), Mudasir contacted Sajjad on WhatsApp and informed that they have carried out CRPF convoy attack. Mudasir then sent him the video of Adil Dar (fidayeen), which he deleted from his phone. On the instructions of Mudassir, Sajjad moved to Delhi to establish a sleeper cell of JeM.